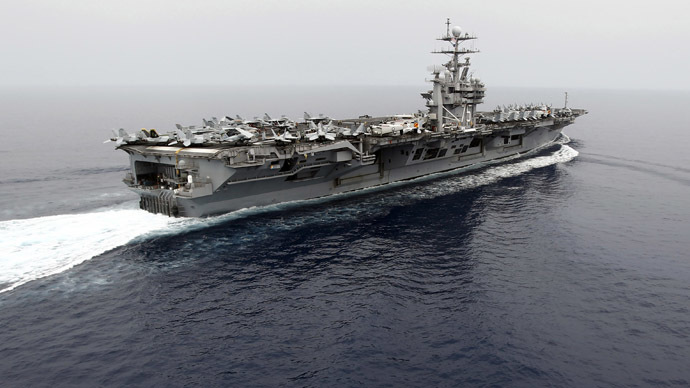 The nuclear-powered aircraft carrier USS Nimitz along with four destroyers and a cruiser have been ordered to move west in the Arabian Sea toward the Red Sea, so that it can help support a US strike on Syria if requested, a US official told Reuters. “It's about leveraging the assets to have them in place should the capabilities of the carrier strike group and the presence be needed,” the official told Reuters, adding that it was not clear when the ships would enter the Red Sea. According to a US defense official, the USS Nimitz entered the Red Sea around 6 am EDT. The strike group has not received any orders to move into the Mediterranean, the official said. The Nimitz carrier group was supporting the US war in Afghanistan and was due to return to its home port in Everett, Washington, after being released from duty by the USS Harry S. Truman strike group. Considering the volatile situation and a looming decision on a Syria strike, US military officials have decided to send the Nimitz toward the Red Sea, and possibly the Mediterranean, the source said. Another US official told Reuters that so far there was not a final decision to reposition the carrier group to the Mediterranean, and that the Navy is trying to “reduce the physics of time and space” to be ready for a possible call to arms. Over the weekend a US amphibious transport ship USS San Antonio was also deployed to the Mediterranean. 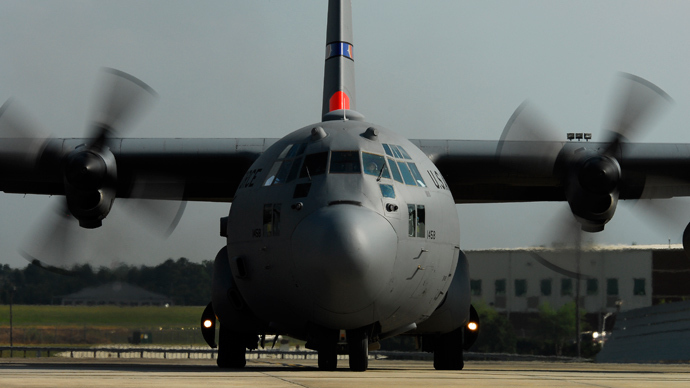 Although it has “received no specific tasking” it was rerouted to a US naval base on the Greek island of Crete. 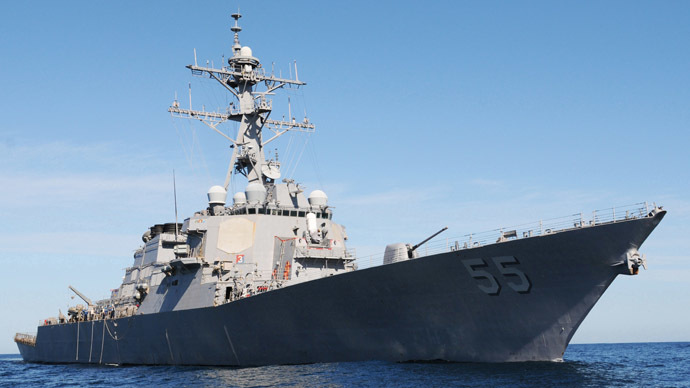 The US Navy already has five destroyers in the eastern Mediterranean carrying an estimated load of 200 Tomahawk missiles. 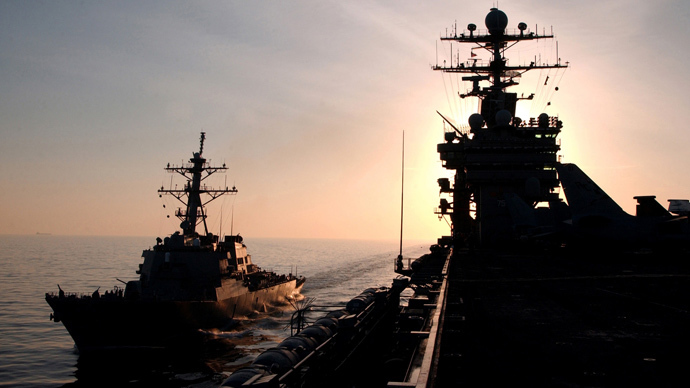 The naval presence was boosted over the past week in anticipation of an imminent US attack. In the coming week, while US lawmakers will be discussing the prospects of a “limited military strike” requested by the commander-in-chief, military officials are expected to use the delay in military action to decide on the location of other US ships in the region. The US President has already decided a limited military strike is necessary to teach Syria a lesson and prevent possible further use of chemical weapons against the Syrian population and US allies in the region. A formal request seeking authorization from legislators to launch a military campaign was filed on Saturday, and the Senate is expected to vote on the motion no later than the week of September 9.